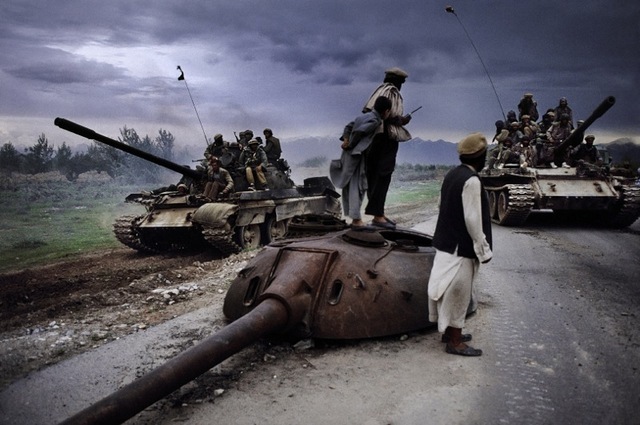 It's hard to think of Afghanistan and not picture the ongoing conflict that has been raging there since 2001. 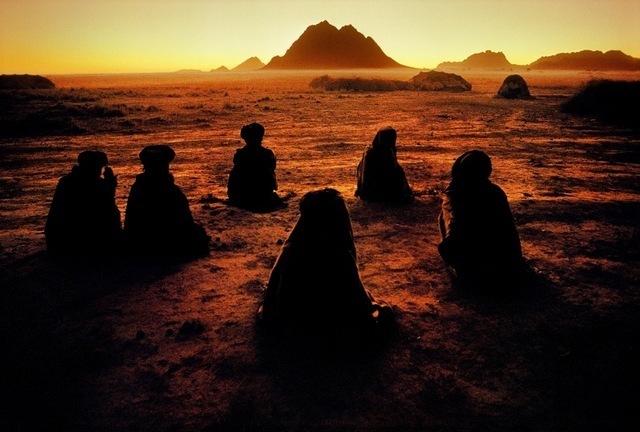 Steve McCurry is a photojournalist who has been taking snapshots of Afghanistan and its peoples since 1979 and this exhibition provides a greater insight into the country than simply seeing it as a war zone. 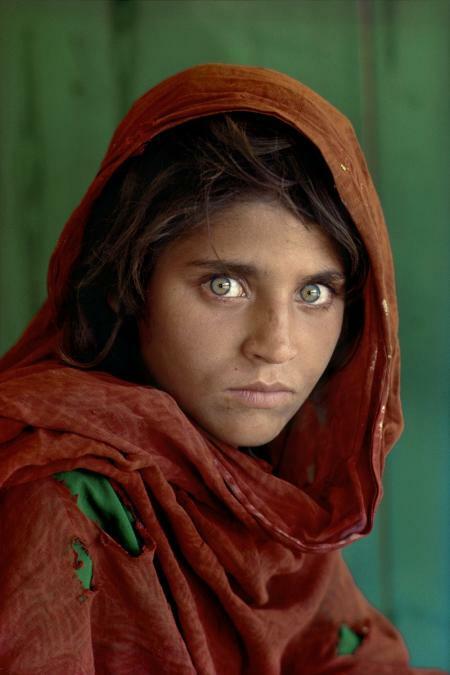 McCurry is best known for his photograph of a striking young green eyed Afghan girl, which has now become an iconic and instantly recognisable image. His portfolio is wide and covers everything from an ornate mosque resplendent in sunlight to old men operating roadside stalls with one marketing himself as a teeth maker. 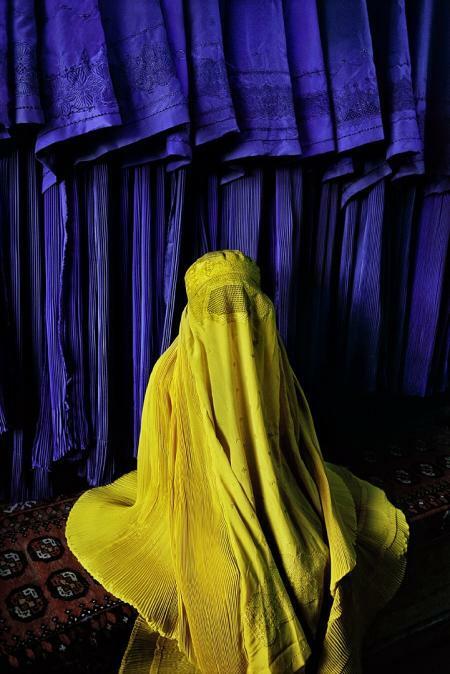 Afghanistan is a diverse country, from a snow covered graveyard in Kabul to desert mountains. Neither is the history of war glossed over. Abandoned tank turrets act as reminders of the unsuccessful Soviet campaign and many people are often photographed with their rifles at their side. 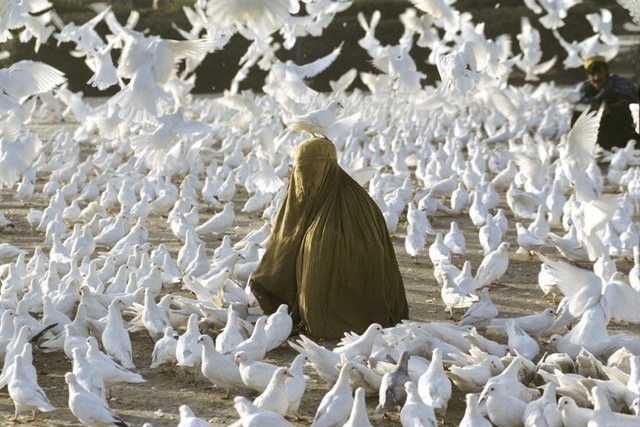 The strongest compositions feature burka clad women including a rather surreal image of five women in different coloured burkas all shopping for trainers and a woman in an olive burka surrounded by the white pigeons she's feeding. This is a varied show featuring some excellent imagery and also serves to show us that Afghanistan is a country with more than just a difficult history. 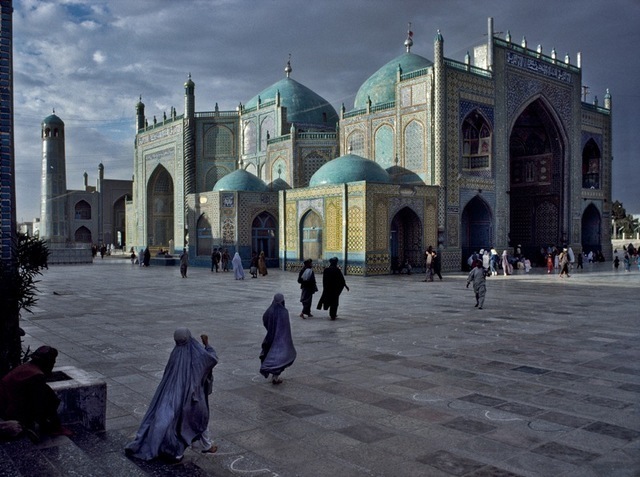 Steve McCurry: Afghanistan is on at Beetles + Huxley, 3-5 Swallow Street, W1B 4DE until 7 June. Entrance is free. The gallery is open Monday-Saturday, 10am-5.30pm.